So forgetting those quotes “may your coffee be strong and your monday short” and moving on to just live life in excitement and curiosity (ok, some snoozing may happen and two cup of macchiato but otherwise I’m all in for mondays;)). The more interesting and unexpected things I put in on a monday the better it becomes. It can be everything from starting up with the gym or a salsa class to a new lunch place or just go a bit earlier to catch up with an old friend or just a new look. I went a bit earlier today to have some workout time at the gym and also to buy a delicious “friday” dinner. 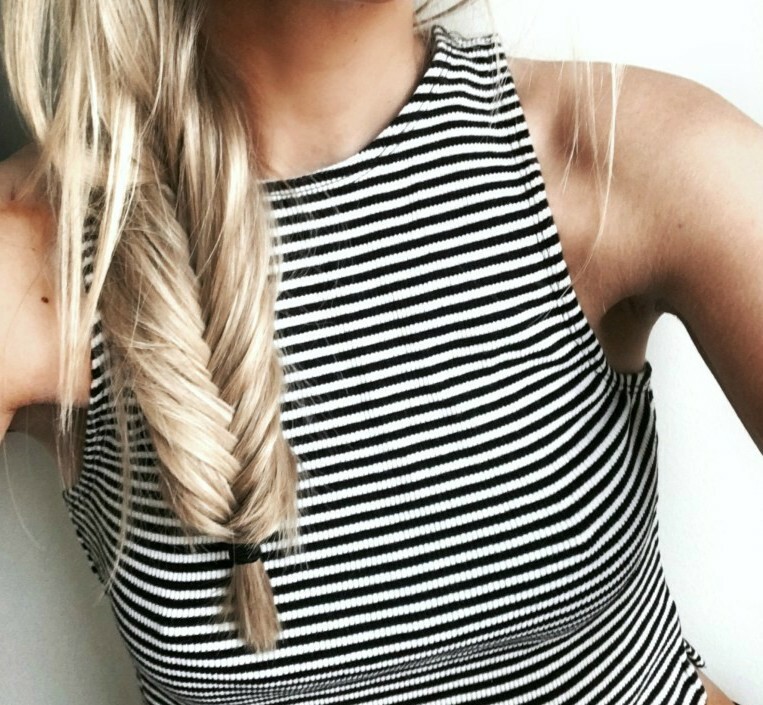 I also changed the look in the afternoon from the business look to a fishtail and a crop top with stripes. This made monday feel like mix of a weekend and a weekday and I like it when the days are unexpected, it makes it much more fun, right?! Hope you had a great start of the week!